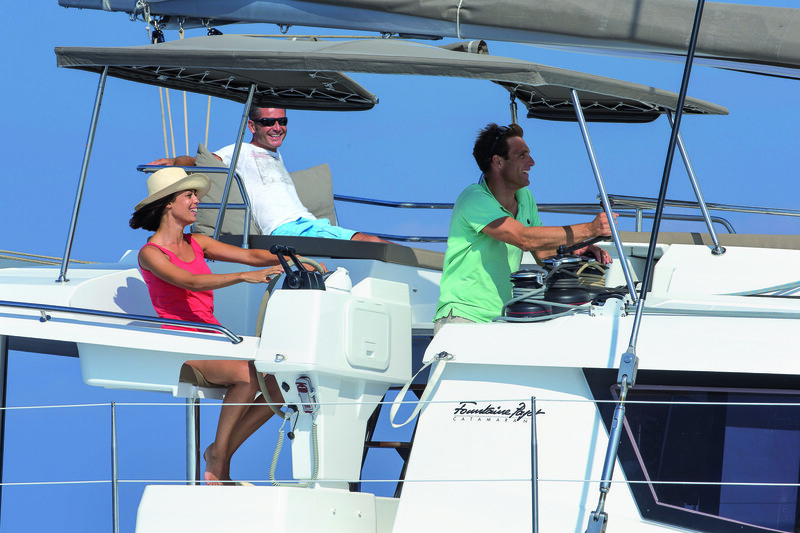 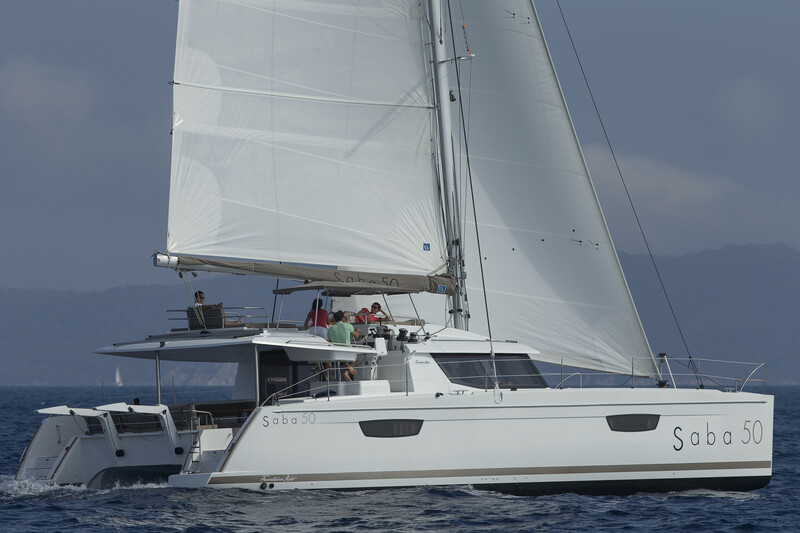 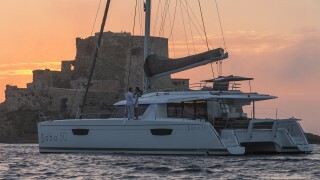 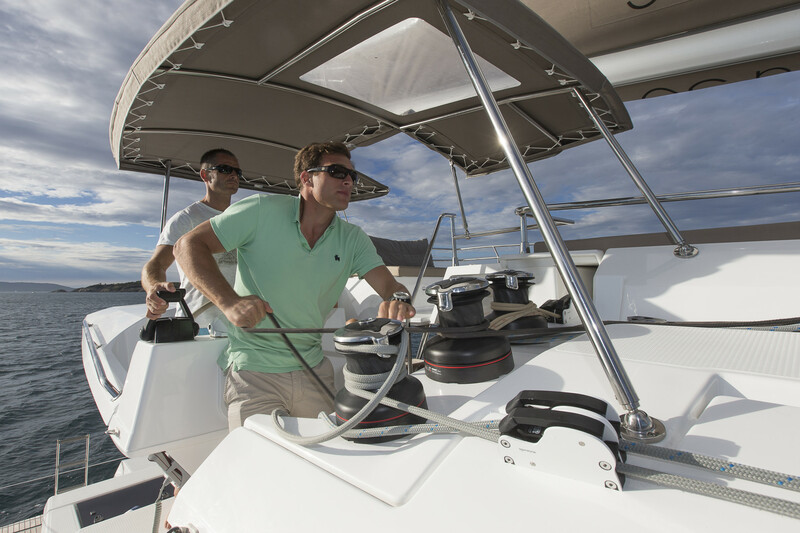 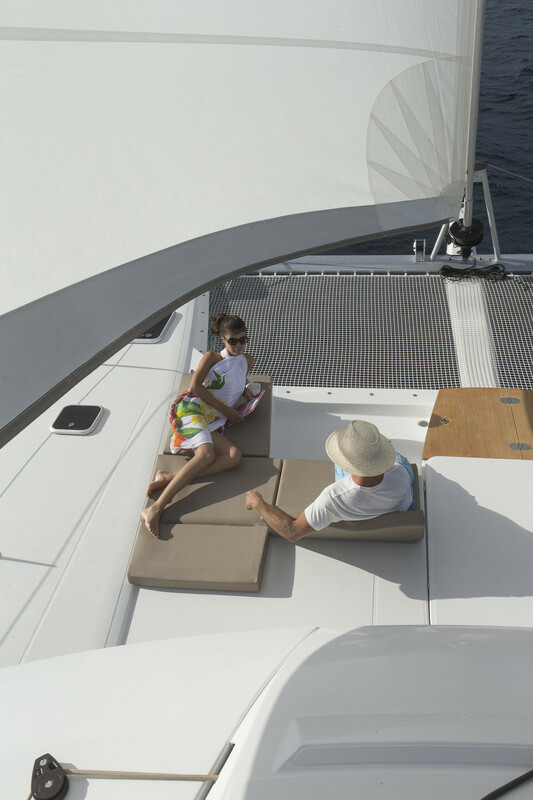 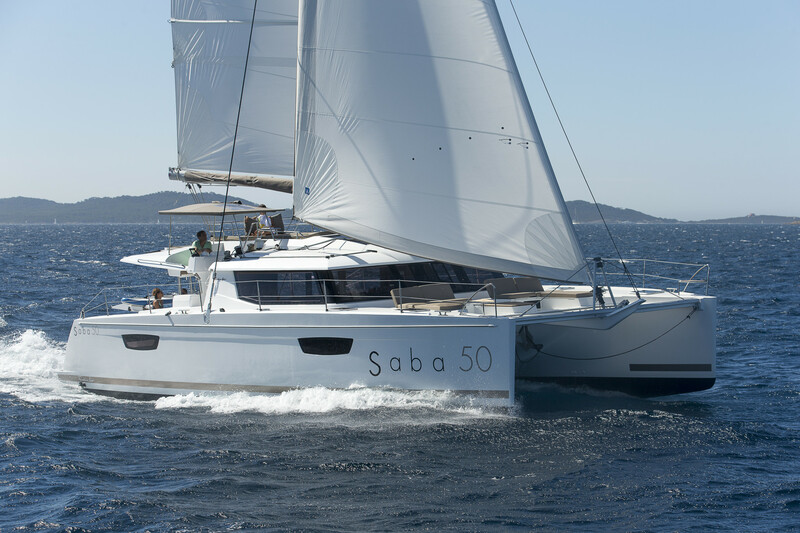 The Fountaine Pajot Saba 50 elevates performance cruising to an entirely new level of style and affordability. 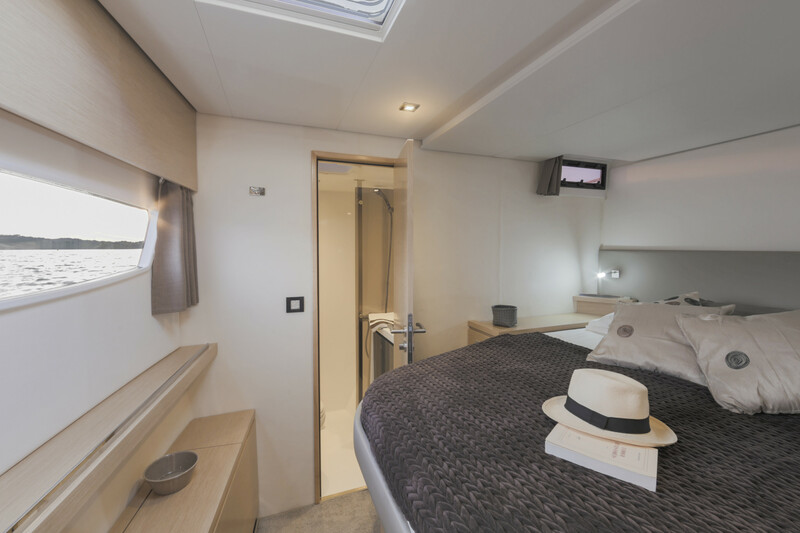 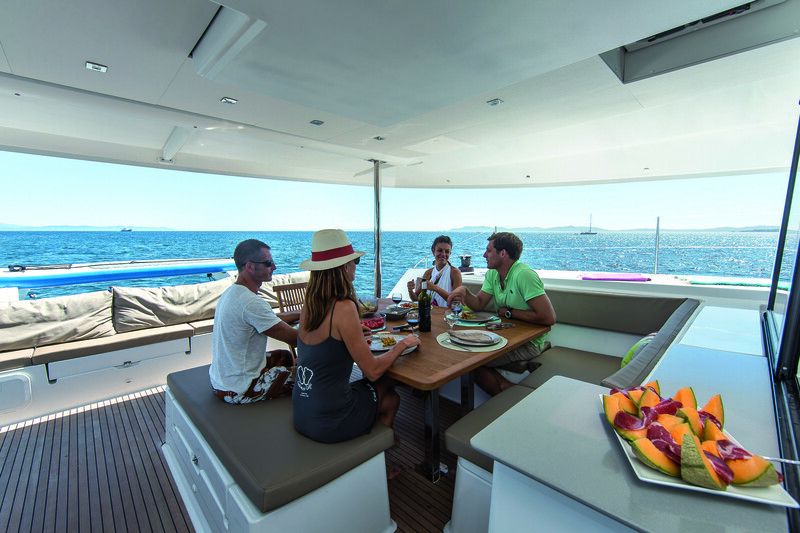 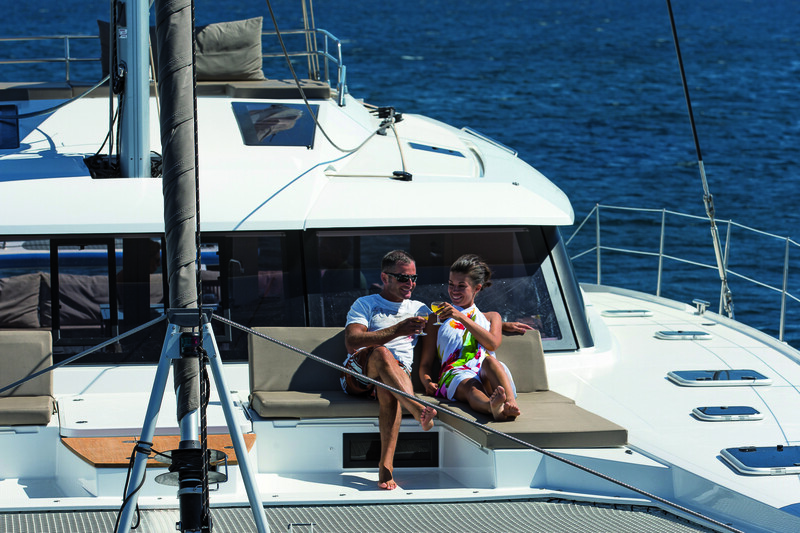 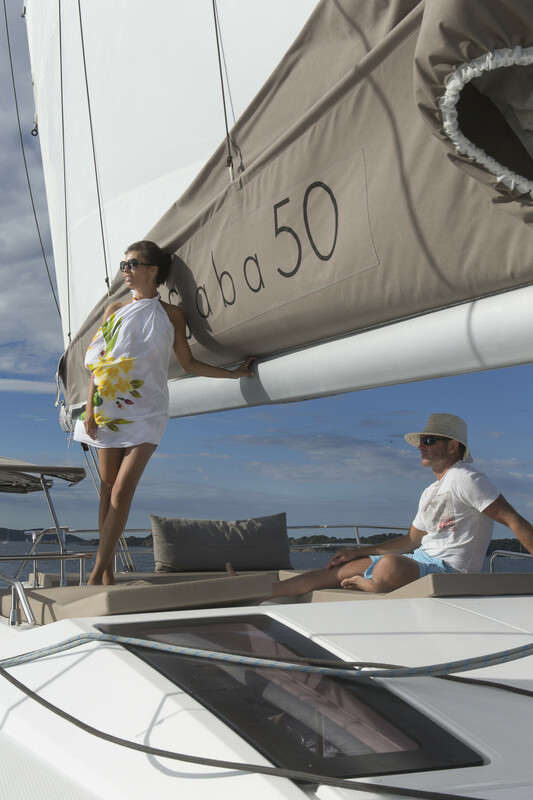 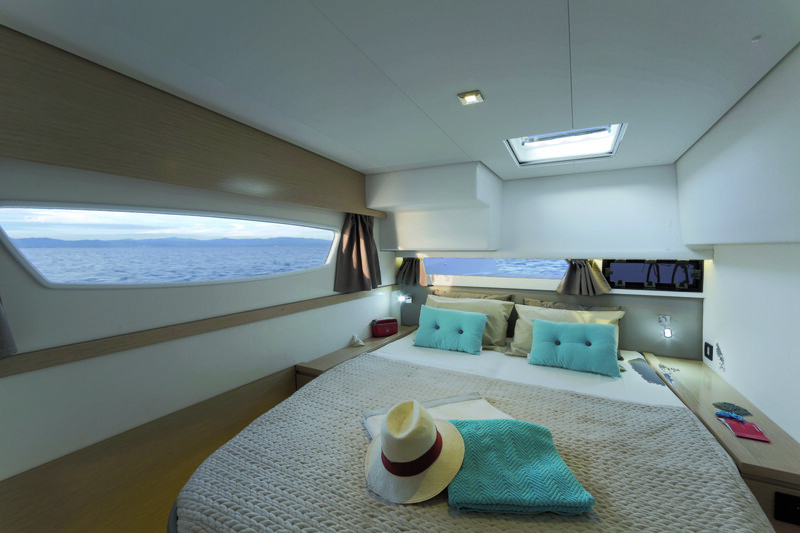 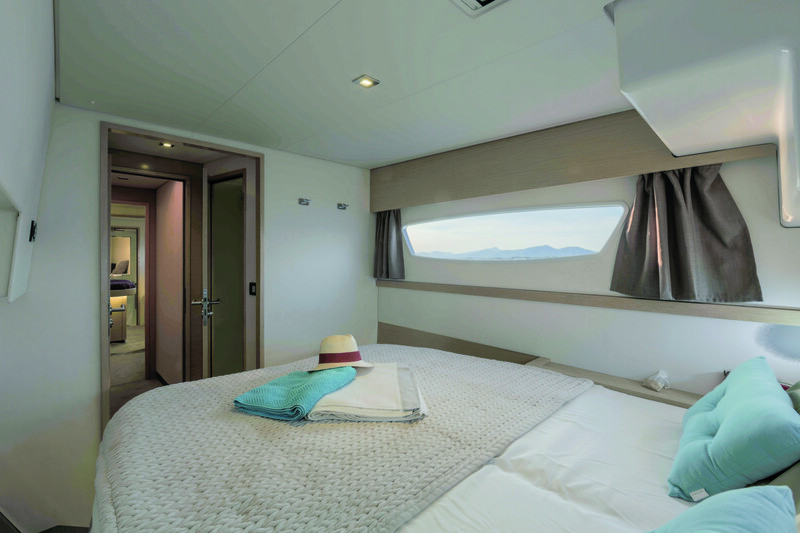 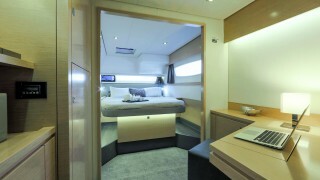 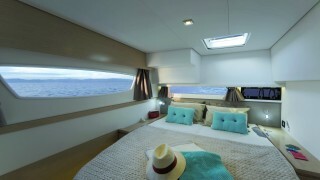 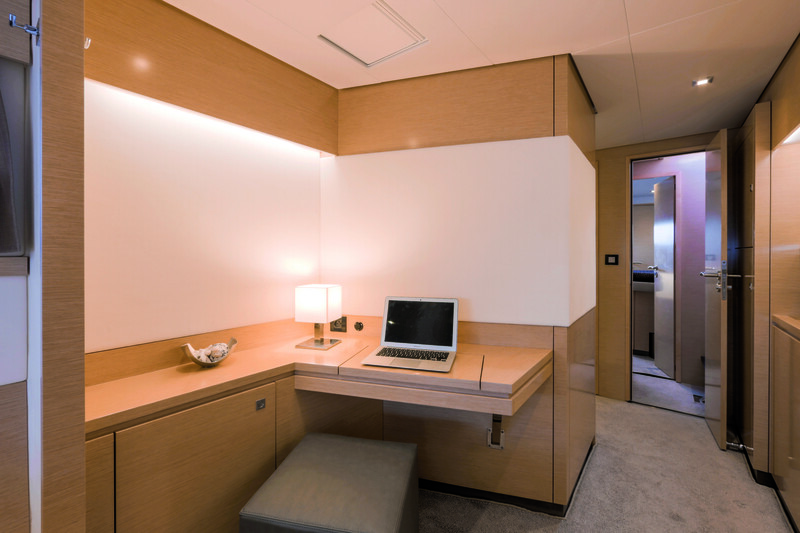 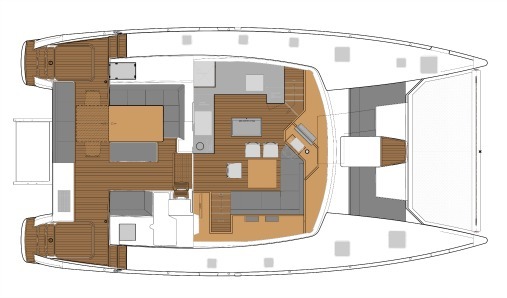 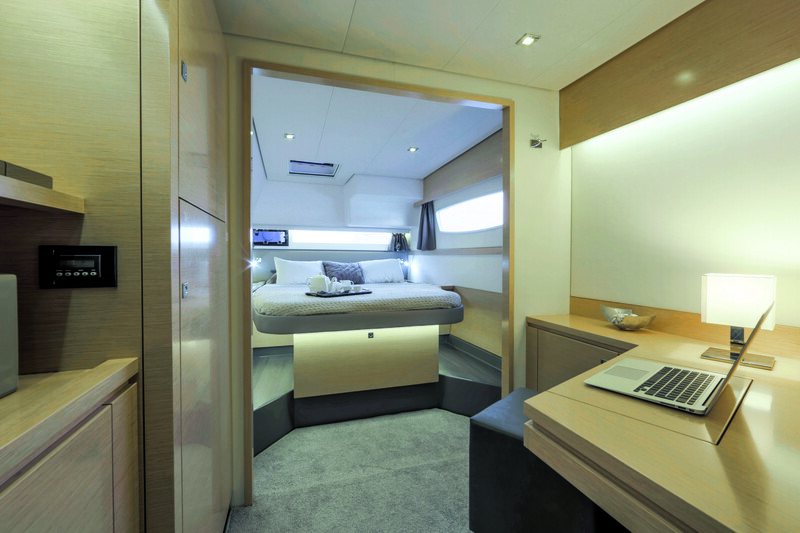 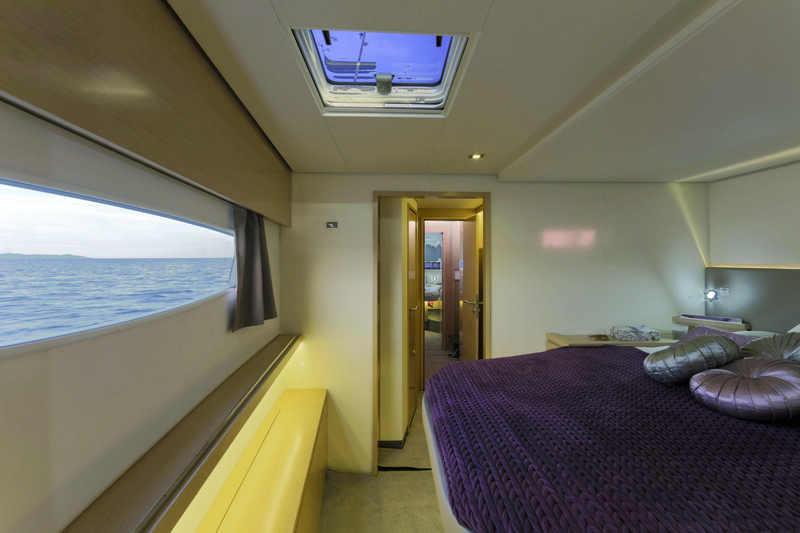 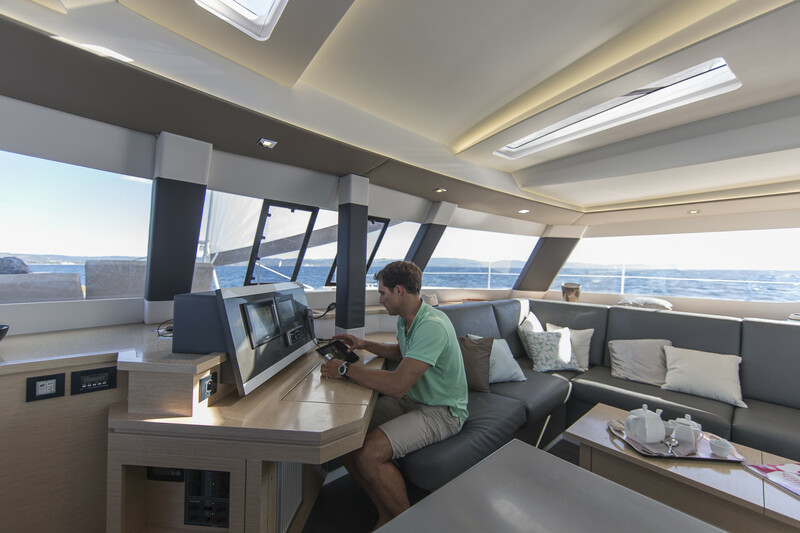 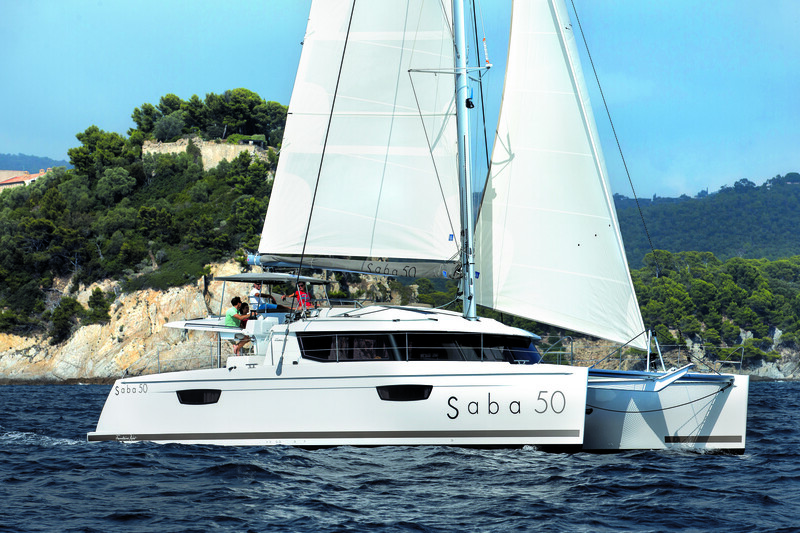 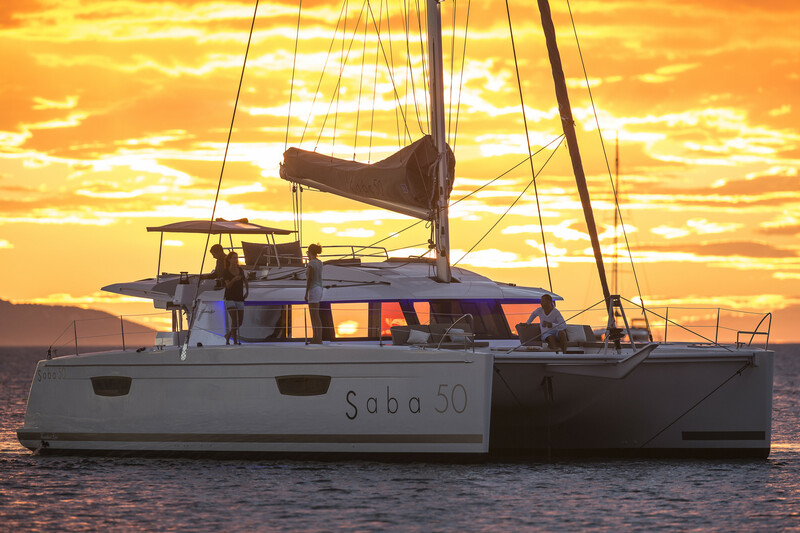 The Saba 50 has been designed to optimise living space while delivering outstanding performance at sea. 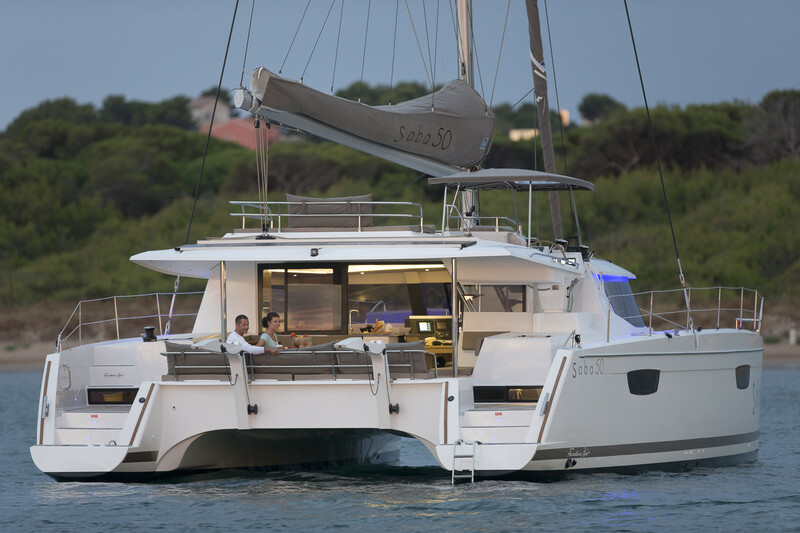 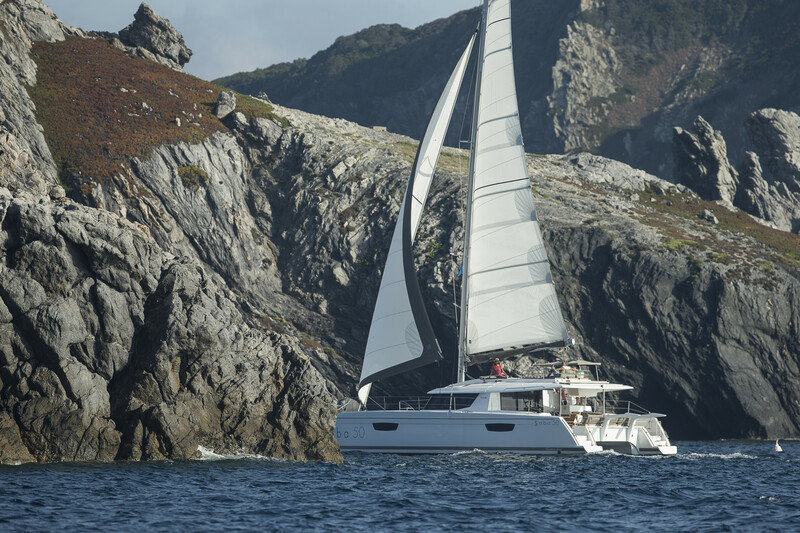 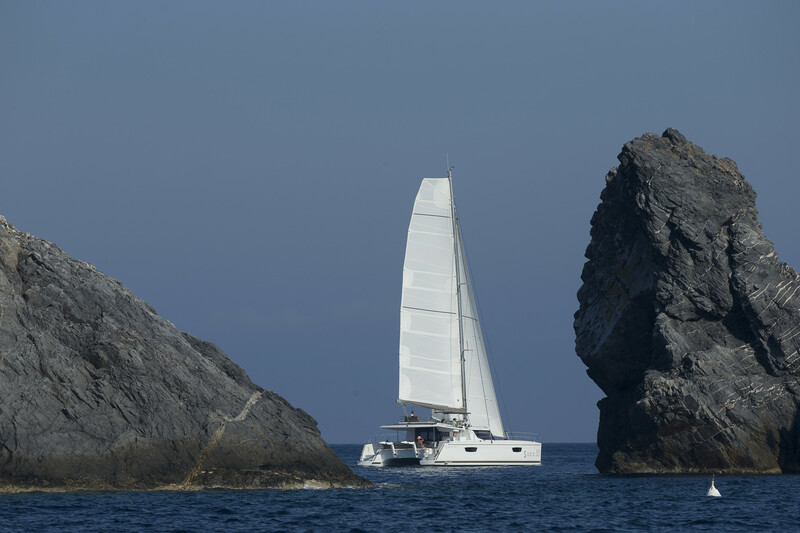 The catamaran shares the elegant lines of the shipyard’s Hélia 44 Evolution catamaran and has upgraded features including additional panoramic portholes to enhance the natural light and ventilation. 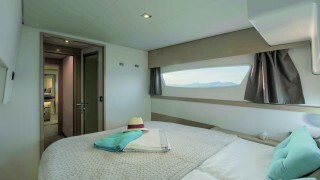 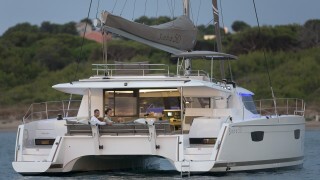 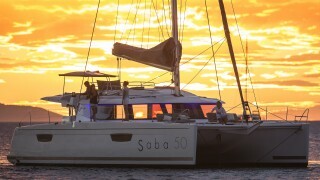 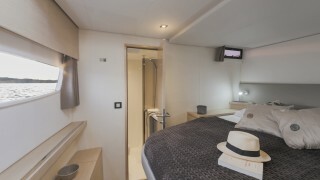 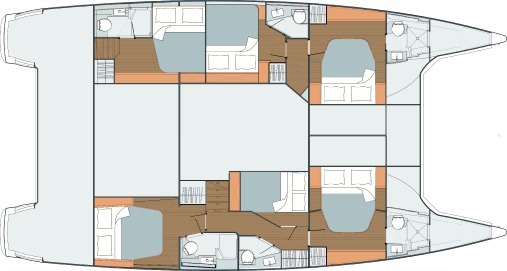 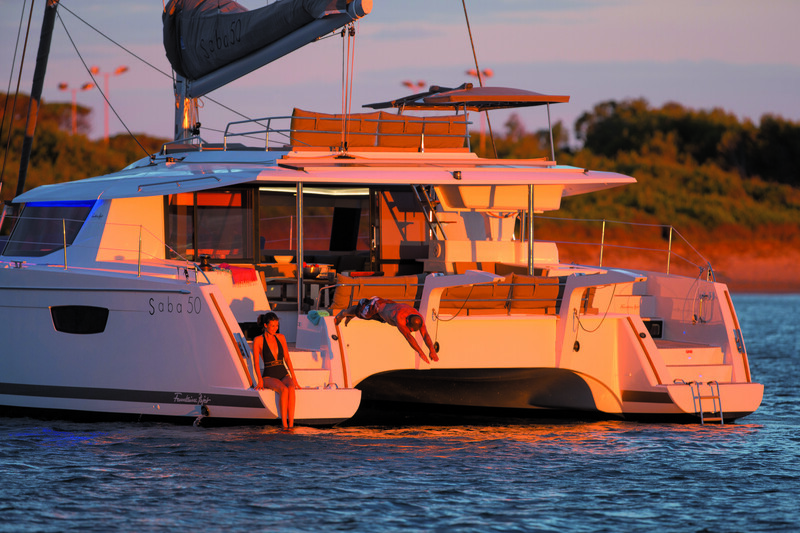 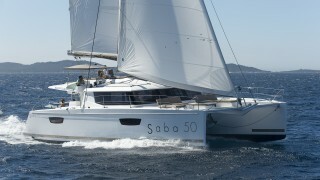 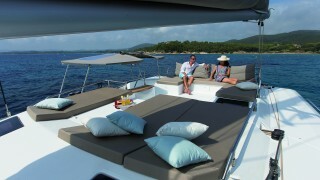 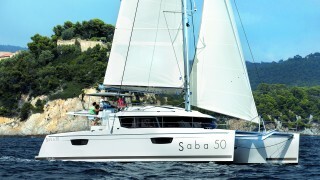 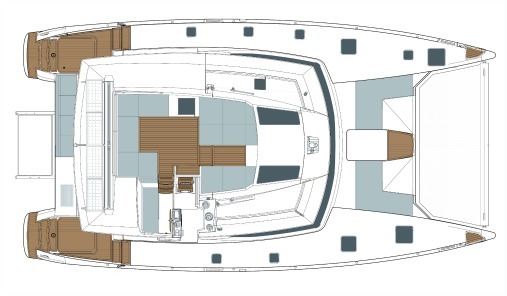 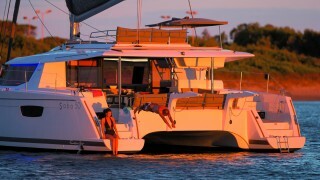 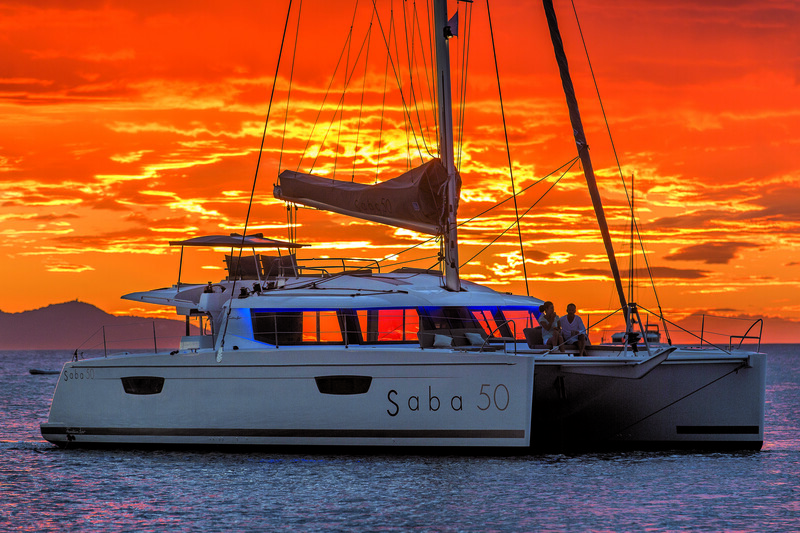 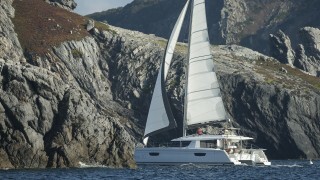 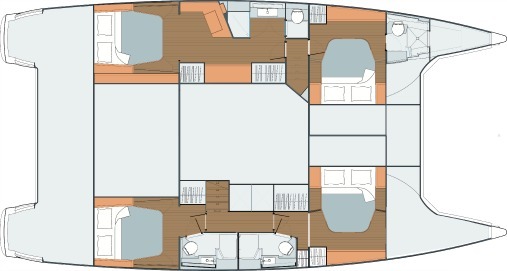 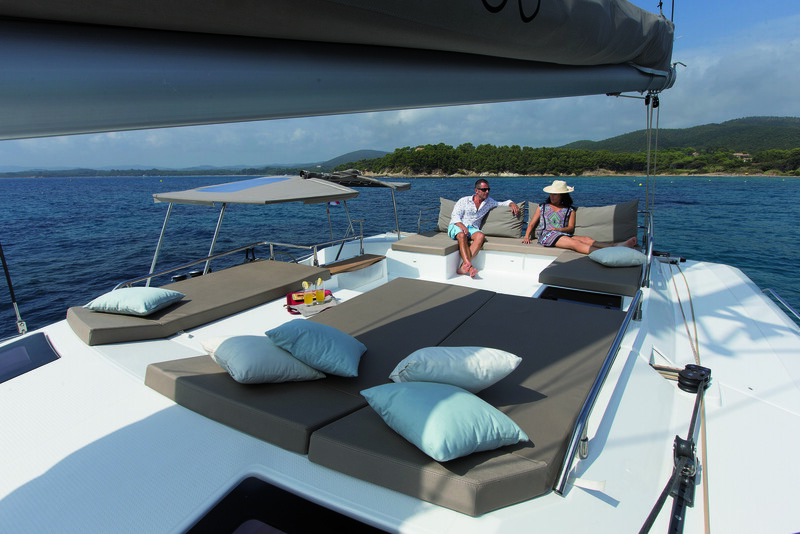 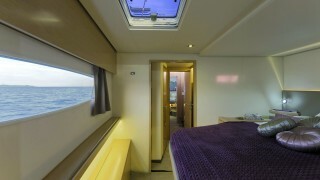 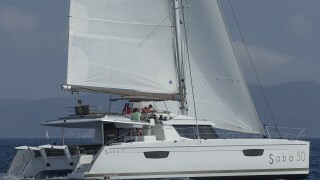 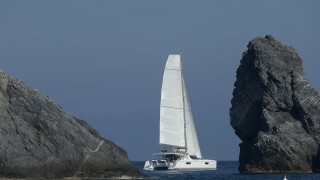 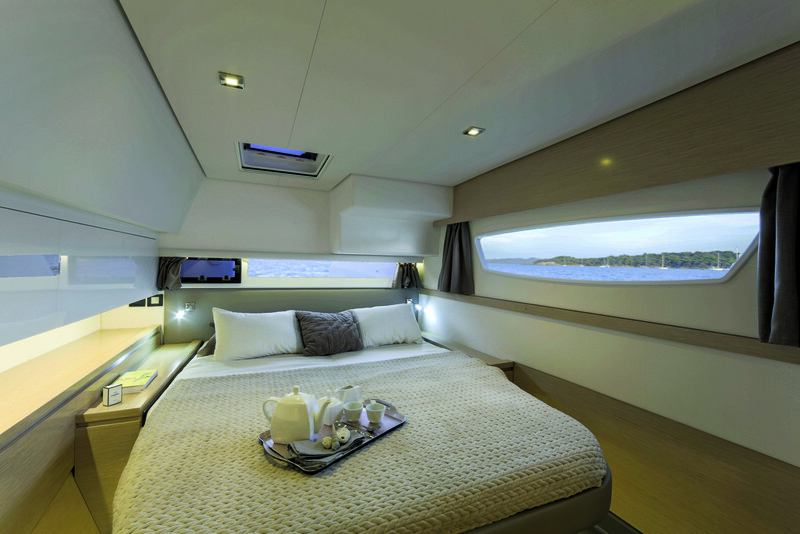 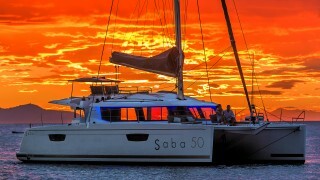 The Saba 50 is available in two layouts: The Owner’s (Maestro) version comprises the large master suite on the portside plus three spacious guest cabins that each have their own private ensuites; and the Standard version that features five guest cabins plus a skipper’s cabin, each one also enjoying a private ensuite. 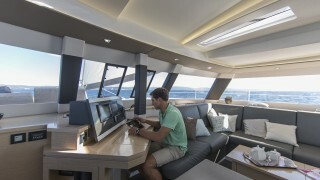 “The 75hp engines running on average 1900-2000 rpm giving us 7.5 knots are burning almost dead on 3L a side (3.089L). 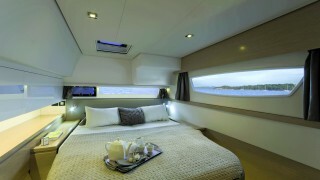 The Generator is 1.89L per hour”.